We practice yoga as a way to promote a sound mind, healthy body and better connection to our world. This year, deepen that connection with Corc Yoga’s eco-friendly yoga products. Corc Yoga mats will help you build a more meaningful relationship between your mind, body and environment with their sustainable cork material. The mats are made from organic cork harvested from trees in Portugal. No trees are cut down in the process, making them a 100% recyclable, renewable and biodegradable source. Other benefits include a non-slip grip thanks to its honeycomb structure and antimicrobial and hypoallergenic properties. Because air makes up over 50% of cork’s volume, it’s a lightweight mat you can take anywhere. Unlike traditional rubber yoga mats which can contain heavy metals or harsh hormone-disrupting chemicals like PVC, Corc Yoga mats are both hormone and chemical-free. In addition to the flagship mat, Corc Yoga offers Cork blocks and Cork Backpacks for continued yoga sustainability. Corc Yoga was started by Christine Moghadam, an adventurer who fell in love with Portugal and its people and decided to start a business that could give back to them. 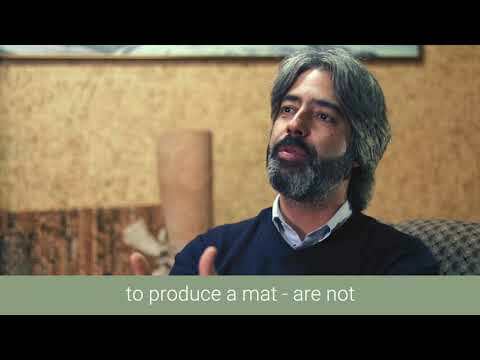 With the knowledge that Portugal’s forests produce half of the world’s supply of cork, Moghadam’s team found a 3rd generation cork expert to partner with to develop an environmentally friendly, organic yoga mat. Corc also has a mission to give back. A portion of every sale will be donated to support the mental health crisis locally and abroad in Portugal. Corc Yoga not only inspires positive mental, physical and environmental change, it supports a greater world connection by giving a percentage of every purchase to youth mental health organizations in Portugal who are working to solve a mental health crisis within the country.